Travel Diaries is an eye-catching, mobile-friendly free WordPress theme for travel bloggers who want to make passive income by sharing their travel experience. If you want your blog to pay for your next few trips, Travel Diaries is for you. This theme has a well-organized responsive layout with advanced customization options. 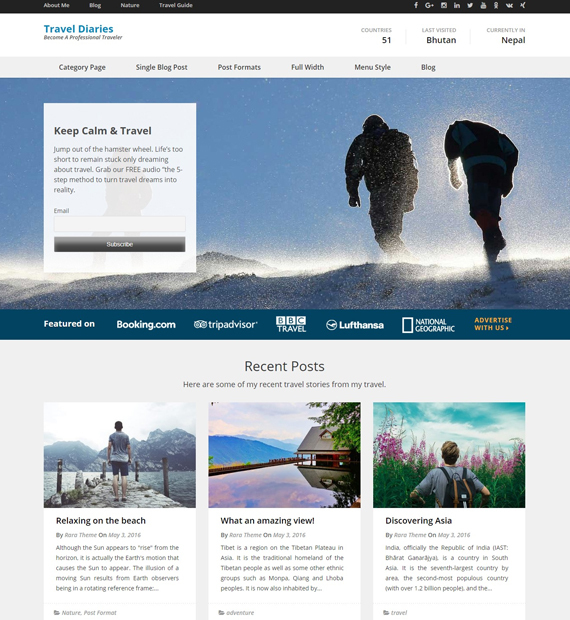 You can display your last and next trip, recent posts, most popular posts, travel guides, and your sponsors on the home page.